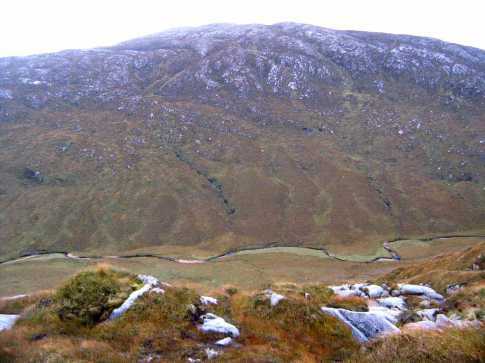 The prominent hill to the east of the Gap, near Lough Mourne, is Croaghonagh, or Cruach Eoghanach, signifying the western boundary of Cenel or Tír Eoghain, while the hill facing it on the western side is Croaghconnelagh or Cruach Conallach, the frontier of Tír Chonaill (www.donegallibrary.ie). Croaghconnellagh is the 498th highest place in Ireland. Croaghconnellagh is the second most southerly summit in the Bluestack Mountains area. As soon as I began to develop an interest in hill walking, I knew this would be one of my priorities. 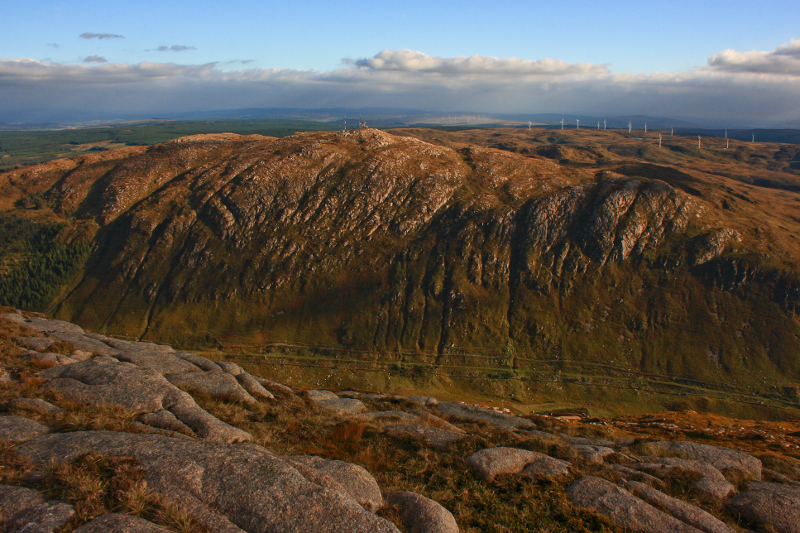 It made a big impression on me as a child, staring up at it from the car on day trips to Donegal. I would have to press my face against the window to take in its full height. It seemed like the highest, steepest mountain in the world to me. So, I set off to climb Croaghconnellagh today in bright afternoon sunshine with high expectations. I parked at the Northeast end of Barnes Gap in the car park. A short walk along the N15 brought me to a bridge over the Lowerymore River where I left the road and set off along the left bank of the river (burn really) towards a col on the Northwest side of the mountain. As I ascended the col, I found it too steep so I decided to circle around it to the North and see if there was an easier ascent. Soon after, as I glanced down, I discovered I was well out of my comfort zone. There was a virtually sheer 100ft drop to jagged rocks in the river. I cautiously retreated, dropped down to the river and went up the right bank instead until I found a gentler slope leading up the North side to the summit. This meant crossing the Lowerymore again - might be difficult after heavy rain. With height, the ground became less boggy and uneven, with lots of granite exposed. In places it looked almost like the Burren. There were lots of false summits with cairns and I wandered round them all, each opening up new vistas. Views were stunning in all directions. 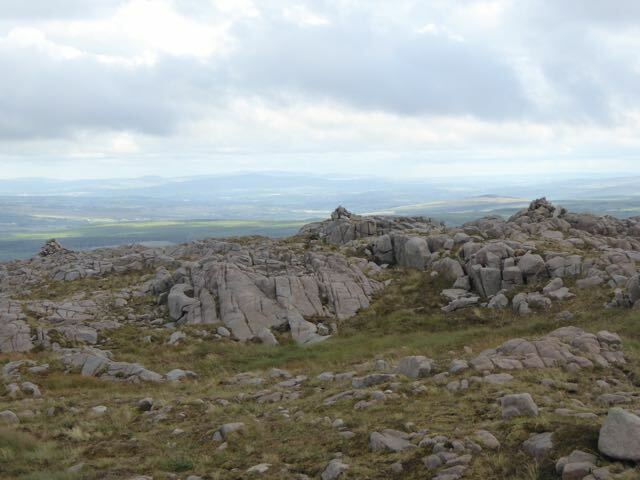 Picture from Colin Murphy : A selection of the multiplicity of cairns at the summit. Picture: A selection of the multiplicity of cairns at the summit.